I have debated about running this story as I don't want to be seen as bashing anyone but I have decided to post it. First let me say I think there are some real psychics out there but the number of fake ones far out number the real ones. I was told by a person, who I will not name, that Dr. Melba Ketchum hired or consulted with a psychic in an effort to find a dead bigfoot body, I assume this was for her bigfoot DNA study. 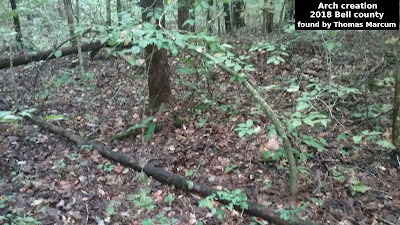 Well the psychic told Dr. Ketchum the whereabouts of a buried bigfoot body and not only that but this was the body that was wrote about and killed by Daniel Boone. That Boone had buried the bigfoot under a rock cliff and carved his name into the rocks above the body. It is my understanding that this progressed so far that another person or small group went to this burial site with the proper equipment and dug for the body. Nothing was found and it seemed that Boones name was no longer on the rock cliff either. So some of the people who live there got word of what was going on and talked to the people who were there and dug for the body. These locals told them that they had lived there all their life and this story is not true and there had never been any name on the rock cliffs. This story comes from someone who has had some contact with Dr. Ketchum, I personally don't find this outlandish that Dr. Ketchum would consult with a psychic. I have seen many documentary shows on TV where a psychic was use to solve murders or find missing children. But in this case it appears that the psychic was very wrong and it makes me wonder if Dr. Ketchum was paying for the services of the psychic. Most of theses types of services come with a pretty good price tag, especially the fake ones. So now it makes me wonder, should a psychic be used to try and locate a body of a bigfoot? I guess it could be considered "thinking outside the box" and a new effort to find bigfoot. If this would have worked it would have really gave the DNA paper an ace in the hole that is for sure. Well anyways there it is, the story I was told and I was not told the name of the psychic but I was told about some of the people who went to the site to dig. I was not told the location and did not ask. I did not post this story to take a shot at Dr. Ketchum, she may have just brought up a new technique to aid in finding bigfoot. 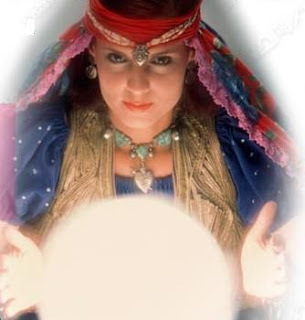 Has any other researchers out there ever used a psychic to aid in research? If so please contact me as I would like to hear about it. Also for anyone who is not familiar with the Daniel Boone story, you can read it HERE, in the bottom half of the post. I have heard a lot of Police departments use psychics to investigate, this makes sense considering one of her associates is David Paulides. This makes perfect sense, if a little far fetched to some. Nice post thanks. Tom Google Jack "Kewaunee" Lapseritis.M.S. or I think you might find his methods interesting . He has involved physics before . Get throughout touch with 1-855-637-4055 for a experienced palm reader. I'd really like take your current time to let anyone know about MY PERSONAL most recent totally free magic movie page. I've been operating definitely really hard, many thanks for enabling me to mention your with you.